There may be some limited standing room only tickets available once the show starts at 8:00 pm for $28.50. "I loved the blues, ever since I first heard Lightnin' Hopkins. I couldn't believe the sound he got. My style came out of trying to imitate what I heard." 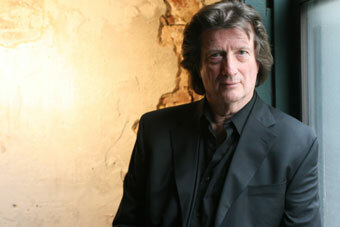 So says Chris Smither, the New Orleans native known for crossing the depth and substance of contemporary songwriting with the guitar stylings of country blues. Chris is famed for his quietly commanding stage performances, as well as his fine albums like the recent Time Stands Still (Signature Sounds). Chris moved to Boston in the 1970s where he joined up with Bonnie Raitt (who recorded Chris' "Love You Like a Man"), Eric von Schmidt, and others, and developed his unique approach to songwriting, which draws as deeply from modern poets and humanist philosophers as it does from the blues. Stereo Review magazine put it this way: "Chris Smither recasts the real folk blues in the ethereal language of the poet, projecting a kind of streetwise mysticism. His acoustic fingerpicking is a joy, as is his grainy, lived-in voice. And while his original songs are wondrous, his covers are revelatory too."